Did you know that there are continuous cycles of airflow that circulate throughout your home every day? Your air ducts are an important piece of your home’s internal structure, and if they’re not properly maintained, it could lead to poor indoor air quality and costly energy bills down the road. If it’s been awhile since you had your Texas home’s air ducts inspected, contact the technicians at Branson Enterprises today. We’ll come to your home to complete a thorough assessment of your air duct system before recommending the best solution for your home. If you think the air ducts in your home are dirty, or you’ve noticed the airflow in your house isn’t as efficient as it used to be, there could be something wrong with your air ducts. Over time, it’s common for things such as pollen, pet dander, dead insects and even rodent feces to sneak in the air ducts of your home. When these hazardous elements enter your air duct system, they are carried over into your living spaces whenever the air conditioner or heater is turned on. This can have a tremendously negative effect on the air quality of your home and can be especially dangerous if anyone in your family suffers from allergies or asthma. 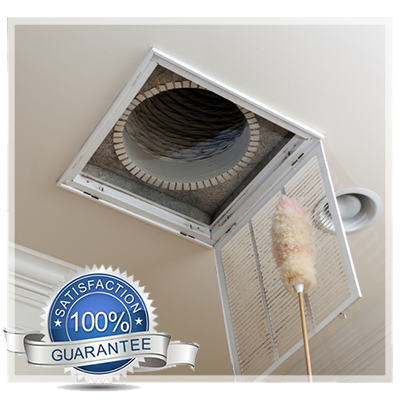 At Branson Enterprises, we use the latest and safest air duct equipment and cleaning solutions to ensure your home is free of hazardous contaminants. Branson’s Xtremely Air Duct Cleaning utilizes RotoBrush equipment, complete with an attached video camera to clean the air ducts in your home. We use IICRC Certified Technicians to properly clean the air ducts in your home. According to the U.S. Department of Energy, 25 to 40 percent of the energy used for heating and cooling a home is wasted. This can be due to unwanted contaminants in your HVAC system, causing it to work harder than it’s supposed to and shortening the lifespan of your system. When your air ducts are clean and well kept, your HVAC system won’t have to work as hard to maintain its desired temperature. If you’re ready to have your air ducts inspected by a professional, contact our certified technicians today!